Among the influences for this particular design are prominent beliefs held in Celtic times when pigs represented fertility and prosperity and were held in great reverence. Celtic markings – similiar to those found at New Grange in Co.Meath- adorn the piece , while a golden texture has been added to underline that this is an object of great value. 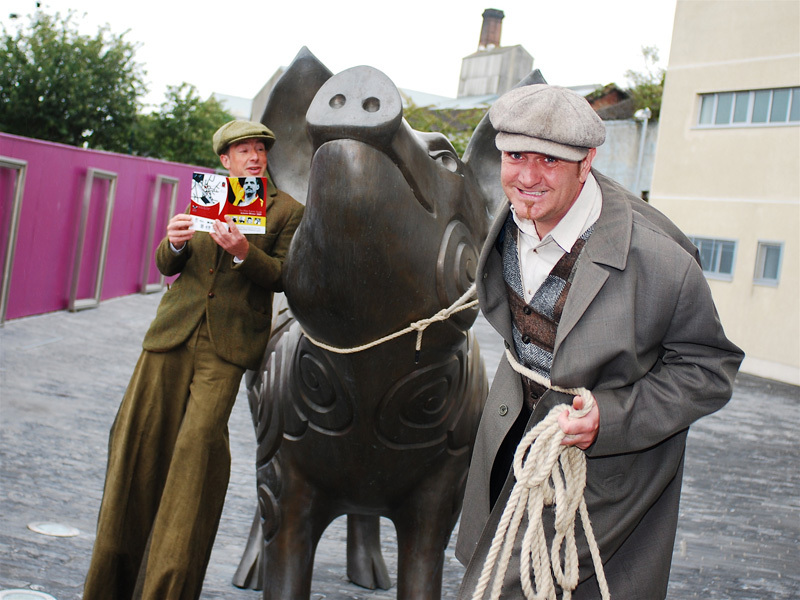 The pig also has very definite local links- an important Pork Market was held in the town during the 1950’s and “there is also Ambrose The Pig” – a character which features in the works of Strabane’s most famous literary son Flann O’ Brien. 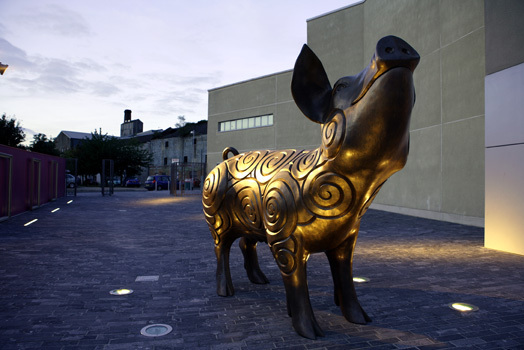 It is believed that those rubbing the pig’s celtic twirls will be blessed with some of Flann’s celebrated humour .By all accounts “Ambrose” may be Strabane’s very own answer to the Blarney Stone . 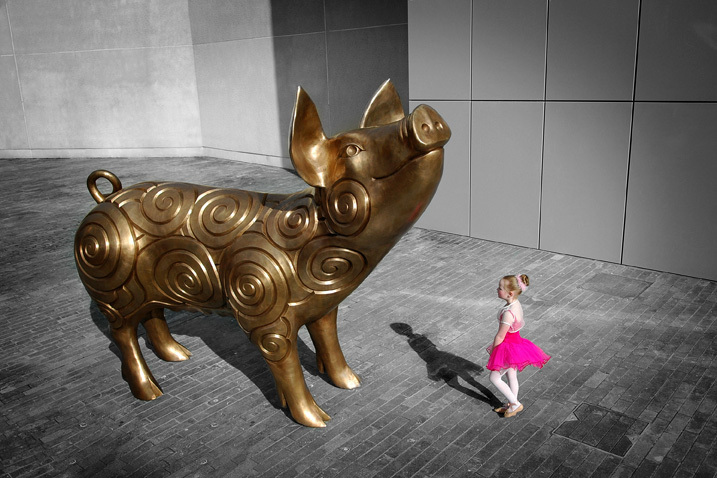 Others believe , however that it is a “wishing pig” and point to the pig’s stance as one of staring at the sky , musing and making a wish.